Unfortunately, even gorgeous hijabis like Basma K have to endure racial slurs. Racism. It is a charged word being used to describe events in Israel, unannounced FBI visits and the unjust surveillance of large swaths of the Muslim American population. While racism or discrimination against Muslims is a fairly new thing, it is not new to the African American community. It is almost institutionalized. With the increased awareness around racism in America thanks to what is going on Ferguson, MO after the tragic shooting of Michael Brown, as an Ummah, we need to start looking inwardly at our own racial biases against others. As much as Muslims would like to claim the diversity of our Ummah is an indicator of our tolerance, I know actually know there is an ugly underbelly of racism in Muslim communities. How many of us have heard our elders in the community speak derisively against other races? How many of us have seen supposedly religious members of our community shoot down a perfectly good proposal for their daughters simply because the man in question is an African American? How many times have we seen those same daughters married to men of the same ethnic background but with questionable morals? How many times have we seen aunties in the community laud a marriage between a daughter in the community and a white man? In fact, I recall one time attending a wedding where one aunty had the gall to tell me that the sister was lucky to have married a white man because it would ensure her kids would be fair skinned! I kid you not. These situations have occurred. Even in our younger generation, racism still is a seed of destruction that germinates. It even happens to me when I am driving and I rail that a fellow driver’s poor skills is due to his/her ethnicity. It is wrong. It needs to stop with us. During the Prophet (saws) time, there was racism in pre Islamic Arabia. Blacks were sold and traded like property. There was misogyny. Women were also treated like property versus as individuals. It is wrong for us to assume that after Islam was introduced to this society, that racism was completely eradicated. It was not. There were instances of where racial discomfort could be felt. It was an active process to remove racism in the community. For example, Barakah (Umm Ayman ra) was an Abyssinian slave that was considered a devout Muslim in high esteem of the Prophet (saws). When the Prophet (saws) said to his companions: “Should one of you desire to marry a woman from the people of Paradise, let him marry Umm Ayman.” None of the companions stirred except Zayd ibn Haritha (ra). They were all hesitant to marry an older black woman. It was not easy, but the Prophet (saws) tried to devote his life to fulfilling the beauty of Islam which included eradicating social constructs of class and race. How can Muslims rail against Islamophobia when we can’t even support our fellow brothers and sisters in need? We need to help others if we want them to help us. Has Hijabi Fashion Gone Too Far? Does modest fashion have to be so serious? Salaam my lovelies! I hope you are all doing well inshallah. I know I haven’t posted in a long time. It is not because I don’t love to write; I really do. I LOVE that my writing has resonated with so many readers and that I get the most lovely comments on my posts. However, the divisiveness in our little hijabi blogger community has left me shaken. As you remember, I viewed being a hijabi blogger as a chance for Muslim women to regain our narrative back. Modest fashion is a part of that, but I also wanted to blog about other Muslim American topics such as raising good Muslim children, having a healthy Islamic marriage and even where to get good halal food. However, it seems that there are a lot of trolls who persist in tearing hijabi bloggers to shreds. I have written about this before, but I will actually share an incident that has bothered me immensely. We all know how I have my Follow Friday posts on Hijabi Life. I actually posted a Follow Friday post on a sister named Imaan Ali who used to blog on a blog called The Hijablog. We all know hijab is an extremely personal experience and that there are ups and downs in everyone’s faith. So for hijabi bloggers to document our lives is very hard to begin with. So you can imagine how much backlash Imaan got for making the very personal decision to take her hijab off. Here is the thing: She is still the same person. She is still a human being. Do you really think trolling her or any bloggers who admired her will really change the situation? I know she is not the first hijabi blogger to take her hijab off (Winnie Detwa also received backlash for taking her hijab off too). However, I don’t expect her to be the last. How terrible is it that we are so quick to bash the bloggers we so ardently adored? Personally, I don’t want to be adored. I want to be able to share my own thoughts and feelings in the hopes that it provides some souls a little comfort in their own lives. 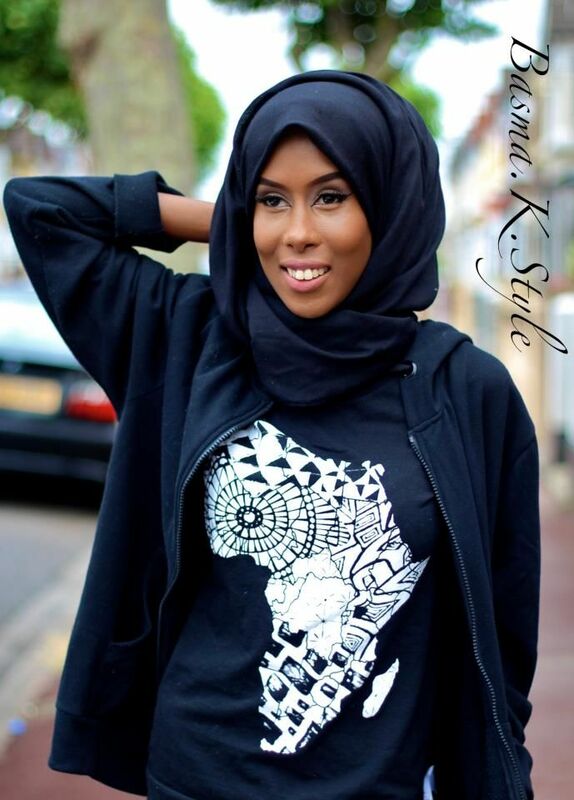 I think it is wrong how we have quickly made hijabi bloggers the end all be all. Please avoid taking bloggers on as idols. I don’t think a single blogger wants to be idol worshipped like a celebrity is in Western culture. And if there is a shred of pride from cult status, then we as bloggers need to be aware that showing off is so dangerous that it’s like the black ant on the black rock in the night with no moon. It can sneak up on you like this. And here is my quandary: Should I keep blogging about hijabi fashion? I feel like it has taken on more baggage than I was aware of. It also limits my writing. I want to be able to write and help others. With the situation in Gaza, I can’t help but feel silly to write about just modest fashion. I would like to share more Islamic/DIY/political posts though. If you agree or disagree, please let me know. I am not asking you readers to all agree with me, but I do think that we need to have some more tolerance and forgiveness in our own hearts. The way we treat others in this world is how God will treat us when we meet him. Let us have more mercy.